Ron Joiner is one such friend. We are pleased to publish his story here, and invite others to share their collecting stories with us as part of this ongoing series. Drop us a line by visiting the Contact Us page on our website or by emailing newsletter@chelseaclock.com! I have always had a fascination with clocks. As a young boy I can remember the schoolhouse clock in my grandparents’ kitchen and the ticking sound it would make that echoed through the entire house. 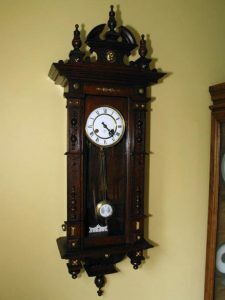 We all have busy lives and, despite my interest in clocks over the years, it was not until 2000 that I started building my collection, first with a Seth Thomas Adamantine clock and later with more mantel clocks, wall clocks, and finally a grandfather clock in 2012. My collection has expanded to include virtually every style of clock, though my interest lies specifically with American and European wall and shelf clocks. 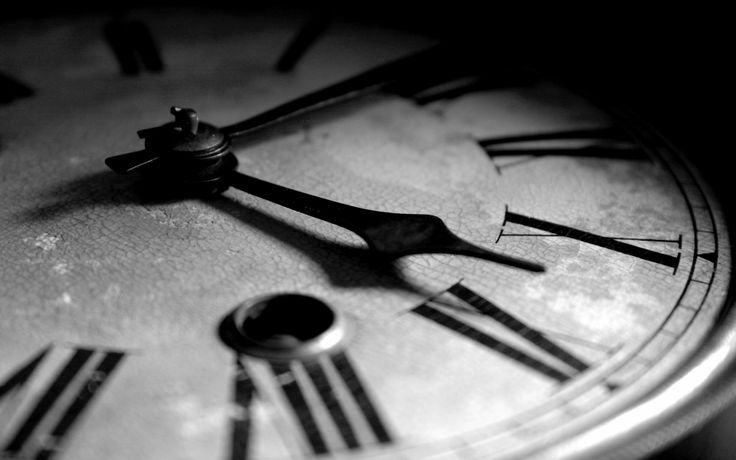 As I write this piece, there are about thirty-five clocks ticking away in my home. Many would have been discouraged, but I found this to be my greatest restoration success! The Junghans clock, as found. Over the years, as my clock collection grew, so did my interest in maintaining these timepieces myself. I began with general understanding of cleaning and oiling clock movements, and continue to service my collection whenever I can. In 2015, I decided to write a blog about collecting vintage and antique clocks. 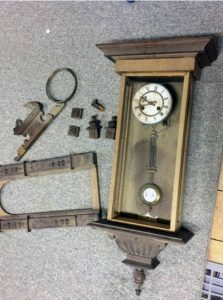 My goal was to create a blog that would be of interest to amateur clock collectors everywhere – a place where like-minded people could come to learn about clocks, exchange ideas, and talk about issues, challenges, or simply great finds. I hope visitors enjoy my blog as much as I do writing it! Blogging about timepieces has allowed me to combine my other interests, that of photography and traveling. 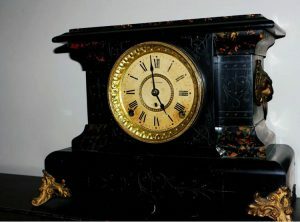 My wife and I have had countless adventures seeking out unique clocks for my collection, and we look forward to continuing to enjoy and follow our passions. Ron Joiner lives just outside Truro, Nova Scotia with his wife. 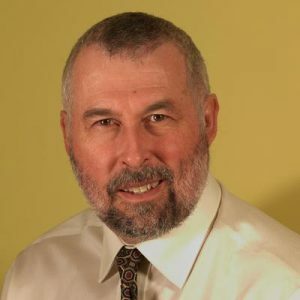 He is a member of the National Association of Watch and Clock Collectors (NAWCC). Shop our collection of fully restored Vintage Chelseas here. I have a clock made by chelsea clock co . that was removed from an old mine sweeper ship it has several colors on the numbers i wanted to know what it is worth can anybody help me.thank you d.w.